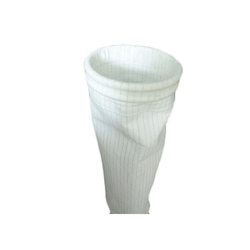 Prominent & Leading Manufacturer from Indore, we offer non- woven filter bag. We are leading manufacturer and supplier of Non Woven Filter Bag. We can design and develop filters as per customers requirements. The provided bags are available in both woven and non-woven cloths. Our offered bags are highly used in various industries for filtering purposes. Apart from this, clients can purchase these bags from us at industry leading prices.